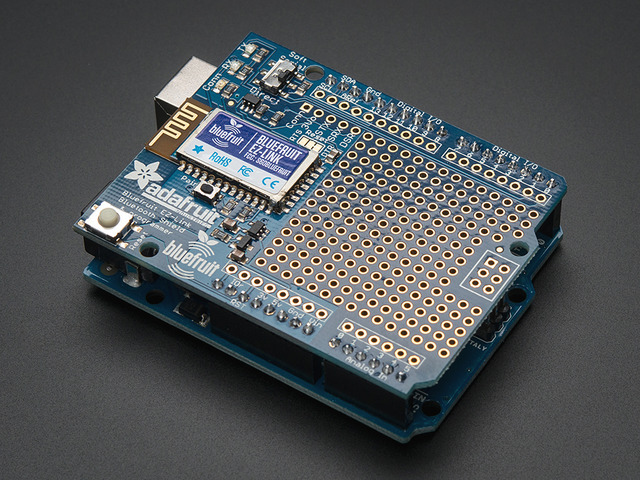 We are excited to add another product to our growing Adafruit Bluefruit line, this time it's the Bluefruit EZ-Link Shield: the best Bluetooth Serial shield ever made. Like you, we have purchased all sorts of Bluetooth shields with high expectations - we just wanted something that worked! But nothing ever did exactly what we wanted: there was always some configuration modes to wade through, and trying to reprogram an Arduino is impossible. The Bluefruit EZ-Link shield is a regular 'SPP' serial link client device, that can pair with any computer or tablet and appear as a serial/COM port (except iOS as iOS does not permit SPP pairing). But here is where it gets exciting: unlike any other BT module, the EZ-Link can automatically detect and change the serial baud rate. That means if you open up the COM port on your computer at 9600 baud, the output is 9600, 57600? 57600. Yep even 2400. All the most common baud rates are supported: 2400, 4800, 9600, 19200, 38400, 57600, 115200 and 230400. You never have to configure or customize the module by hand - it all happens completely automatically inside the RF module. To round out the design we also added two RX/TX indicator LEDs so you can tell when data is sent & received as well as a connection status breakout pin. When the paired computer opens up a UART connection, the status pin goes high, letting the Arduino know that it can now expect data to be sent and it's also OK to send data to the computer. 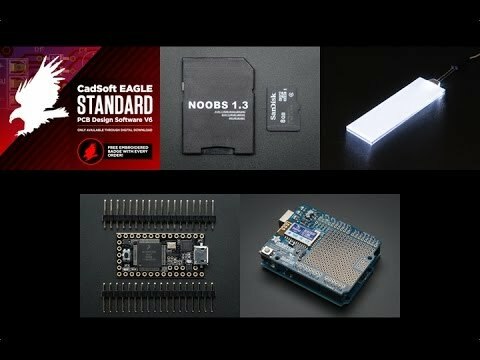 You can use the shield in either Direct mode (the Bluetooth module replaces the USB/Serial chip) or in Soft Serial mode (you still want to program over USB but will use SoftwareSerial to communicate with a computer or other device). Each order of this EZ-Link shield includes one ready to go and assembled EZ-Link shield, with FCC/CE/RoHS certification. We also include a 36-pin header to be used if you want to have the shield plug in directly into an Arduino. Some light soldering is required! For use with other shields, we suggest picking up a stacking header kit. Since the EZ-Link only connects to the RT/TX/Reset Pins for programming, it will stack with just about any shield in existence. 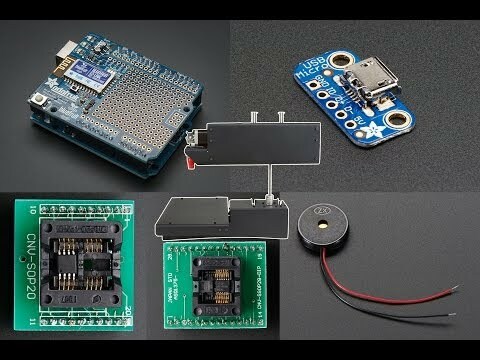 Works great with Arduino Uno/Duemilanove/compatible and Mega. Not for use with Leonardo (the Leonardo uses direct-USB instead of USB-Serial) or Due.